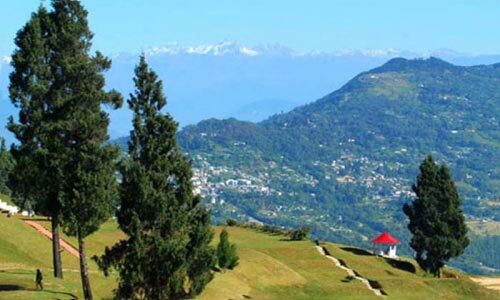 Sandakphu is not only the most popular trek in West Bengal but it is also one of the best trek in Eastern India. 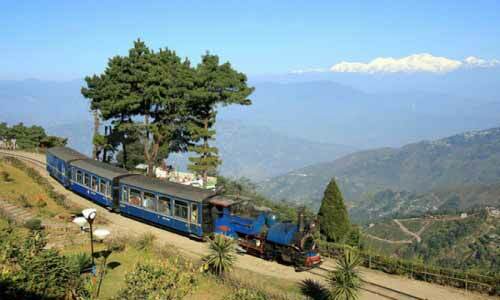 At an altitude of 3636 meters or 11930 feet, it is the highest point in Bengal. 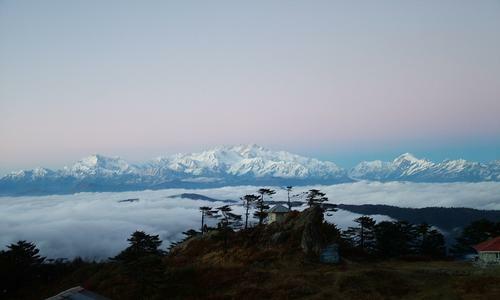 The trek to Sandakphu passes through the Singalila National Park which is home for the unique Red panda. The trek follow a mountain ridge which is the international boarder between India and Nepal. 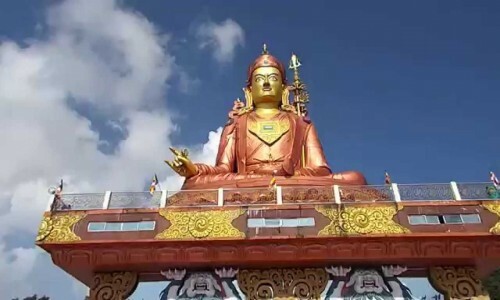 There are two best season to visit Sandakphu. The first season start from 1st of April to 31st of March when the temperature is pleasant and flowers like Rhododendron and orchids bloomber in full whilst covering the valley in the beautiful shade or red and then October to early December, when the temperature is bit the chilly indicating the start of winter is best to get an unparalleled view of the snow peaks in a dear blue sky from Sandakphu. It is best to avoid,the monsoon season since the land becomes more prone to landslides. You will meet our representative at NJP Railway Station Siliguri and drive towards Gorkha West Bengal. During the journey on the way visit beautiful Sai Mandir. On arrival transfer into hotel. Evening you can sightseeing of Gorkhey and accommodation. Dinner and overnight stay at Gorkhey homestay. Sandakphu trek continues Post breakfast start for the trek SABARGRAM altitude of an 11,807 feet (3,599m) to 7,546 feet (2,300m) via 11,950 views of Kanchanjunga while trekking to Phalut. The trial from Phalut to Sabargram is a 7km zigzag route. which will take you about 3hrs to cover. And also need to carry 2 liters of waters while in trekking. You can fefil your water bottle from a stream ahead of Phalut. Continue on this trial for around 10km to reach Sabargram. The final stretch to reach the village is a steep decent through fields. Sandakphu trek continues. Post breakfast start for the trek to Sandakphu. Sandakphu is located at a height of around 3636 meters and it will take around to 5hrs to reach here. It is the place where you can have the best views of the mountain peaks. It is a day with clear sky then you can have a glimpse of the awe-inspiring views of Lhotse (8501m), Everest (8848m), along with Makalo (8475m), which is a part of the Nepal Himalayan. The chances of sighting peaks like huge Kanchanjunga (8586m), massif is quite obvious along with the other peaks of the Sikkim Himalaya. Overnight stay at Sandakphu. Post breakfast start for the trek to GARIBAS . GARIBAS is located at the of around 2620m and it will take around 6hrs to reach here. Walk through the forest were you would get to rare species of animals like Red Panda and the Tragopan. Overnight stay at GARIBAS hut/hotels. Today you will taken for a pleasant walk through the forest where you would get to see rare species of animals like Yaks, Red Panda etc. Trek brings a lot of excitement for you as you you will be walking along a ridge which is considered to be one of the most scenic walks in the Himalaya. 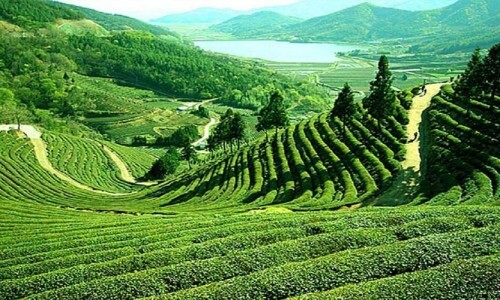 The whole range of snowy peaks accompanies you through the entire route and passes through the high altitude greenery and plantations of rhododendron and tirs. It takes time around 7hrs. Overnight stay at maneybhanjang. Departure to NJP Railway Station/Bagdogra Airport. 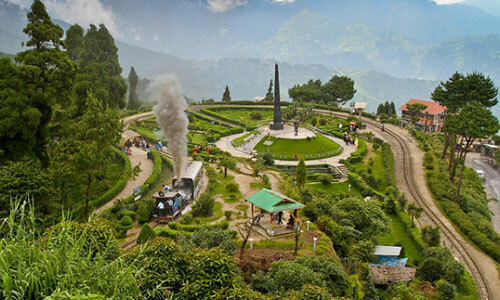 To catch the train/flight, along with sweet memories for Sandakphu trekking.